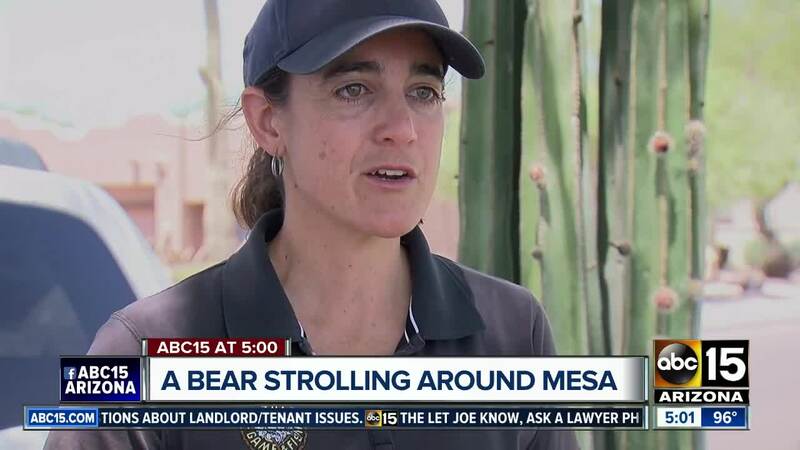 Wildlife officials are monitoring a young bear that has been spotted roaming around a Mesa neighborhood. 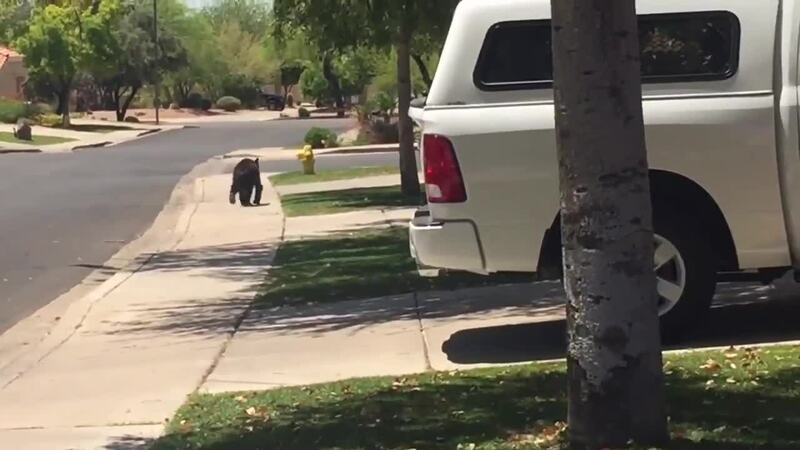 Video from Arizona Game and Fish Department (in the player above) shows the small bear walking down a sidewalk in front of homes in the Red Mountain Ranch Country Club area, near Thomas and Power roads. Officers have been in the area looking for the bear since they received a report of the bear on Wednesday. "I thought it was a big unleashed dog," said Michell, who recorded the video. "You don't expect to see a bear, and it used the sidewalk." AZGFD officials say the bear is not considered to be a public safety concern right now and has not shown any aggression and has not been approaching humans. "That's insane, crazy! 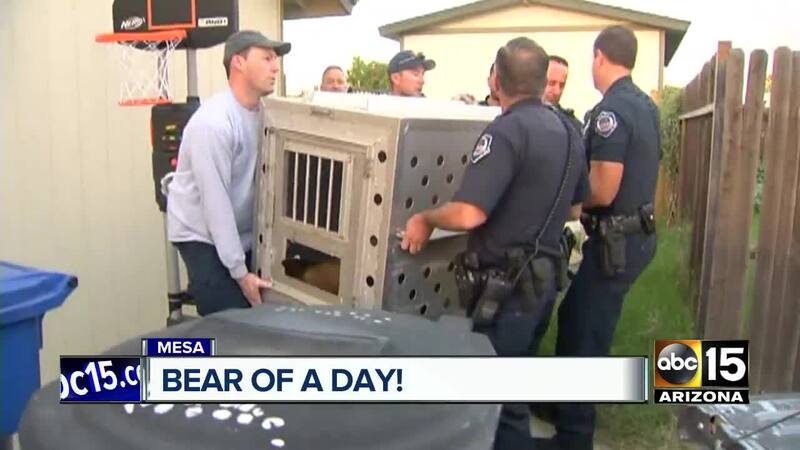 We've seen bobcats in our neighborhood, javelinas, snakes, bobcats are pretty cool to see but never a bear," said Rick Laura, who lives in the neighborhood. If you see the bear, keep a safe distance away and contact AZGFD dispatch immediately. The main number listed on the website is 602-942-3000. They are working on keeping track of real-time reports of where the bear is sighted. AZGFD says they expect this to be one of many bear sightings due to the dryness and heat forcing them to go on the move to look for food and water.